At Carrington Court we understand how difficult it is to find the right accent chair or dining chair to match your home or restaurant decor. 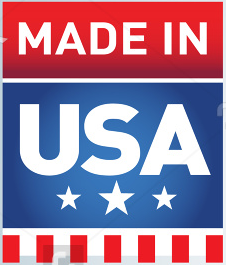 Many manufacturers and retailers offer a very limited selection of fabrics. This allows them to keep costs low through volume buying. Of course the downside of this is that you only have 5 or 10 selections to pick from. We know that not everyone has the same taste or dÅ½cor, so we offer 100 fabrics to choose from. With this many fabrics almost anyone can find a fabric that suits his or her needs. And if you can't? You're welcome to send your own fabric to have chairs upholstered in. There's absolutely no reason why you shouldn't have the exact parsons chairs and dining room chairs you want for your home or venue at an affordable price. Through our vast selection of accent chair styles, finishes and upholstery fabrics, you can let your creativity flow and express your true personality. From Queen Anne legs and armchair designs to upholstered legs with camelbacks, you'll find a style certain to complement your decor and your personal taste. Add some flair with our accent chair styles which break from tradition. 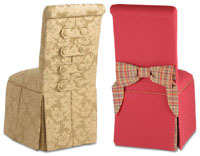 These styles offer contrasting bows, button straps and borders. You'll be the talk of the town with these stunning styles. Click to view our extensive catalog of specialty and accent chairs.